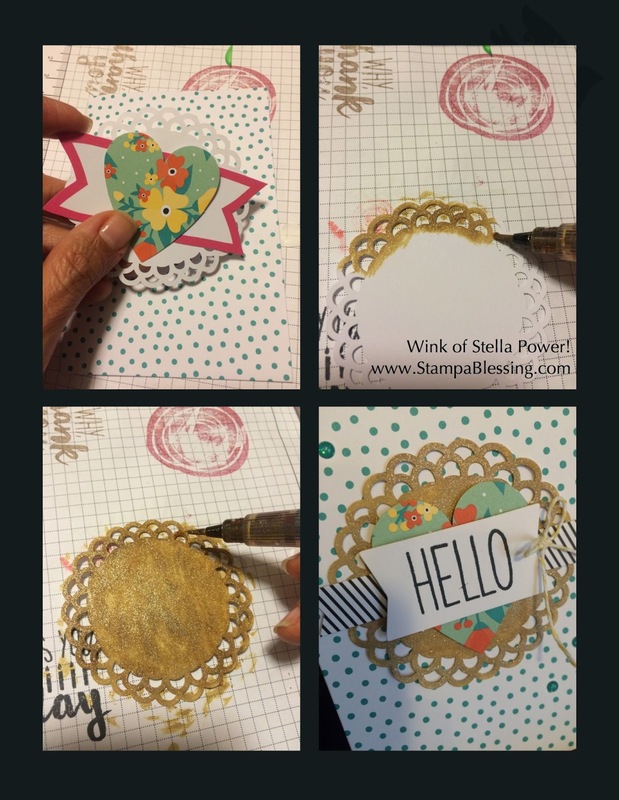 Stamp a Blessing: Make it Simple Monday: Wink of Stella GIVEAWAY! Every Monday I have been sharing different tips to make your stamping simple. Today I want to share a kit that is really close to my heart. I absolutely like it and recommend it. O Happy Day! Cards Kit. 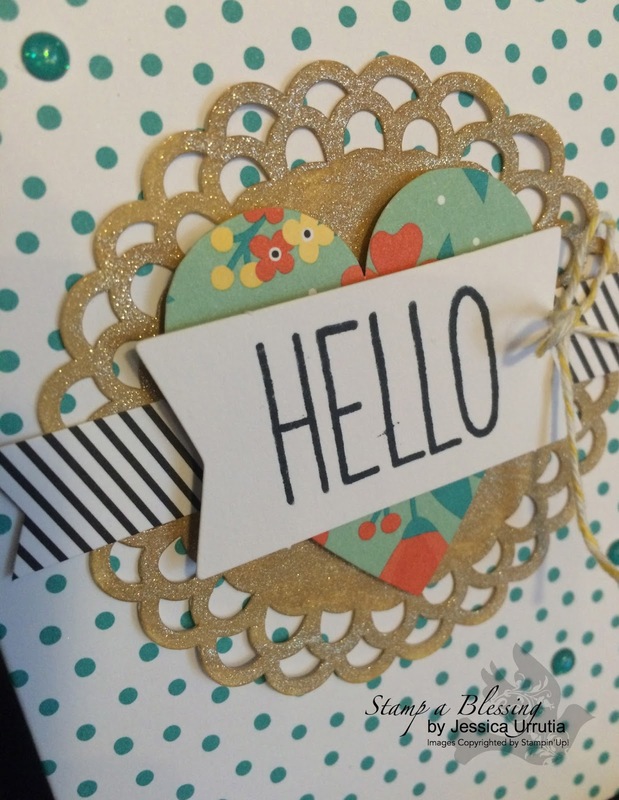 Last Tuesday I got to enjoy a time of stamping…noo! It was not long and I needed many beautiful cards. Usually I create them all out of my own brain, but my brain has been filled with so much homescholing (teaching, organizing, making copies, grading papers…) I decided to give O Happy Day a chance to shine. This was one of my favorite cards. 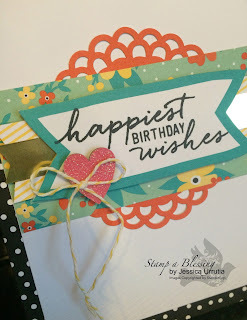 The whole kit is Oh Happy Day, but the sentiment comes from my other favorite kit Watercolor Wonder. :) Perfect mix! Is an excellent CHRISTMAS GIFT! O Happy Day Kit click here to see. Watercolor Wonder Click here to see. The O happy day kit came with several doilys. This one was white and I turned it into a shiny gold with my Wink of Stella! Would you like to win one?! Don't' you think is so cute!? Go try it! Needing some Wink? Visit my store today or simply leave me a comment below and you may be the winner of a Gold Wink of Stella! It has a value of $8.00 These are awesome! Yes I will be giving away a Wink of Stella this coming Monday. You have one week to comment in any of my post this week. The more you comment the more opportunities to win it. Make it Simple Monday post October 3rd. Thank YOU! 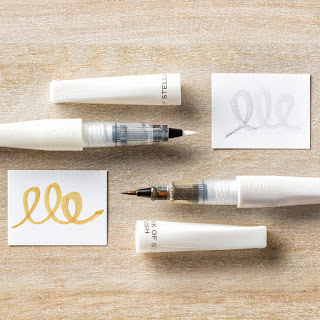 I hope you give this kit a try! It is fabulous. 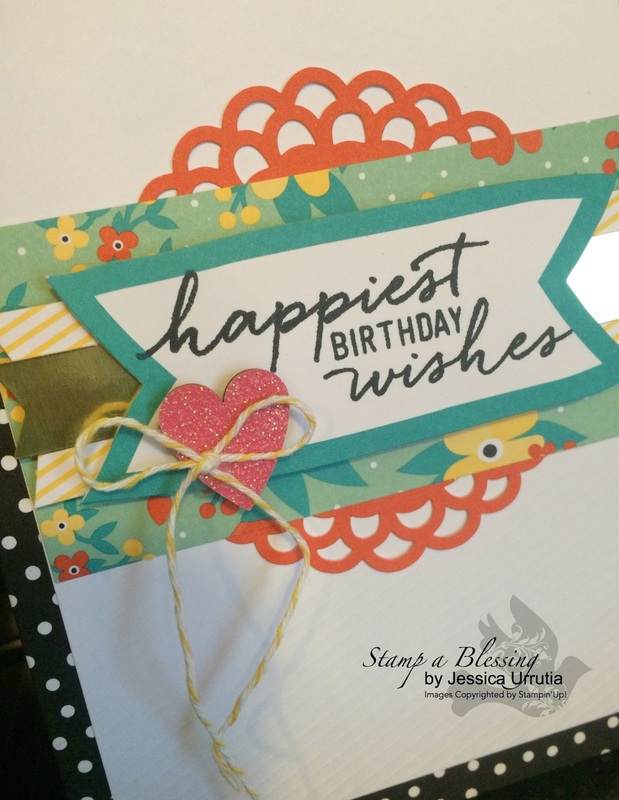 The stamp sentiments are precious and HAPPY! Yes, we need more happy in this world. We do! Have a fabulous day and thanks for tuning in? Did you catch my video last Friday? Yes, I made a video. Check it out below if you missed it then go to my previous post here! So excited to start sharing videos with you! 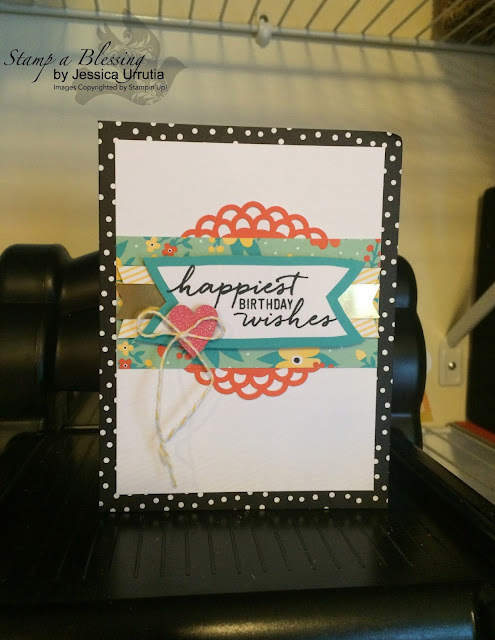 Beautiful card created by a beautiful lady! Thanks for the tips on using the Oh Happy Day kit. I have only purchased one thing from the current catalog, as I am trying to use up supplies I already have on hand, but this kit was my one big purchase. It is a great value! Thanks, Jessica! Best wishes to you, and God bless. I like the Youtube video- who is your camera-person?!?! They did a fabulous job. 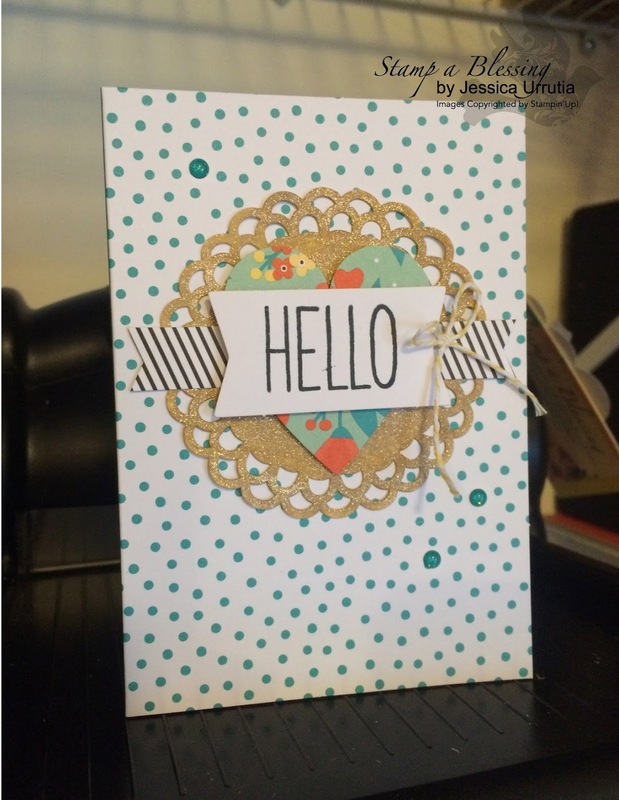 I made a quick card for Kaitlyn D's baby shower present and MPP (Aug kit) came in so handy!Your blog and business are looking great Jess- keep up the hard work- it DOES NOT GO UNNOTICED!! ps- I'm commenting because I really do like getting your post updates, no t because of your giveaway...Miss you friend! You are so sweet my friend! I LOVE having you in my life. Tx for always staying in touch! HUGS!